Our team just returned from the 2012 American Academy of Dermatology meeting where, once again, we helped P&G engage with doctors and key influencers whose recommendations are crucial to the company’s beauty and grooming brands. We’re always proud of our work at AAD, and this year’s success reminded us again how a live presentation—correctly and expertly executed—can make a company the star of the trade show floor. 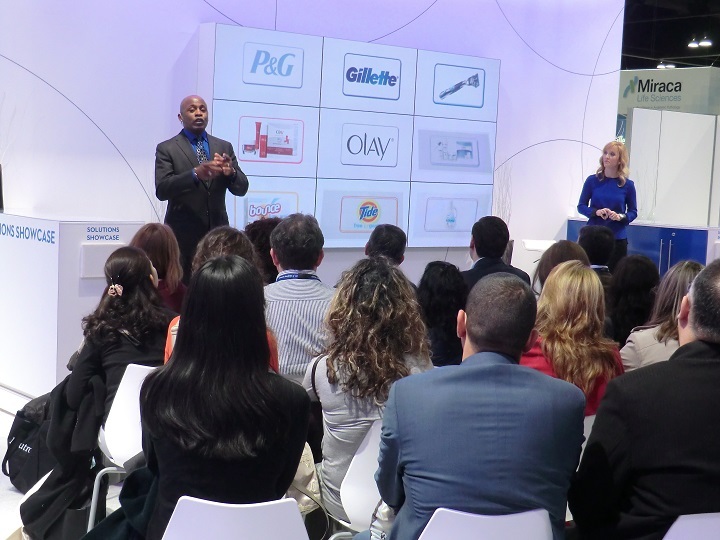 P&G for Dermatologists was packed from start to finish, while attendance lagged at competitors’ booths. And derms walked away with a full message about how P&G is a leader in science and a partner in solutions, thanks to an experience that included a main presentation detailing key products, a pre-show exploring P&G’s scientific heritage, and a demo experience that gave dermatologists a deeper dive. A Compelling Script – There’s an art to weaving science, research and (often multiple) product messages into a presentation that’s credible and interactive. You’ve got to hold the audience’s attention and set a fresh, conversational tone. A professional writer knows how to hit the sweet spot combining optimal timing with a balance of hard science, entertainment and audience engagement. Eye-catching Visuals – High-quality images, video and graphics are a must for effective presentations. We can work with clients to make the most of existing assets, or we’ll shoot our own to ensure that they look great on the show floor. Many of our presentations use multi-source video, but we are equally adept at weaving great assets into platforms such as Keynote and Prezi. 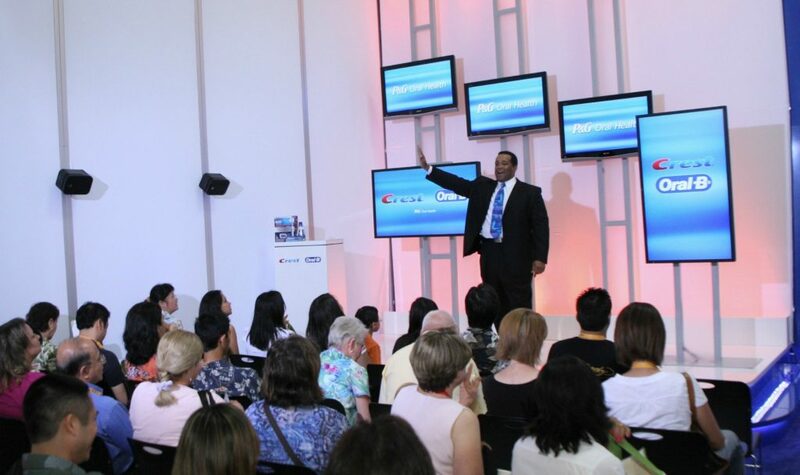 Professional Presenters – For a truly effective presentation, you need world-class talent to deliver your message. Professional presenters know how to take a great script and make it sound natural, conversational and engaging. At MPG, we put prospective presenters through a rigorous audition process, then hire only those we know will connect with our clients’ unique audiences. Variety – Nobody wants to sit through a dry lecture, so shake things up by incorporating testimonials, interviews and interesting themes and transitions. Look for as many ways as possible to get the audience in on the action. You want the experience to be memorable, so work in simple messages with taglines and calls to action that stick with peoplelong after they’ve walked away. An Element of Surprise – We’ve got a ton of tricks up our sleeve—technical “wows” that leave audiences asking “how’d they do that?” It’s all in the name of keeping peoples’ interest, but we never indulge in whiz-bang tactics for whiz-bang’s sake. Everything we do helps tell our client’s story; if it doesn’t, then it ends up on the cutting room floor. Optimal Timing – Tradeshow attendees have limited time and attention spans. Keeping the presentation to 8 minutes or less ensures they will retain more of your message. It also helps ensure they’ll spend more time engaging in other booth activities and talking to your sales representatives. A Great Support Team—If your presentation is top-notch you won’t need much help keeping your theater full, but a team of professional hosts can help gather crowds, pulse them into the seats and make sure everybody has a great experience. 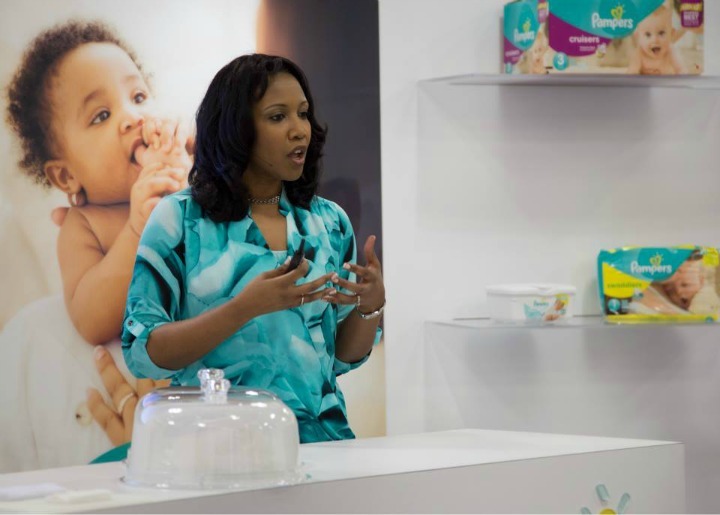 Giveaways/Samples – Let attendees know you value and appreciate their time by offering product samples or another giveaway tied directly to your message or theme. 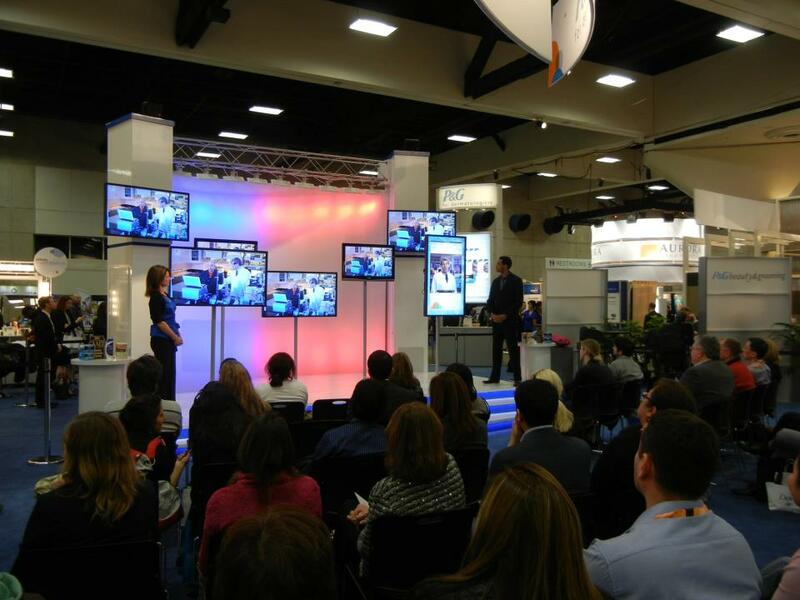 Whatever your objectives, an engaging trade show presentation can significantly increase traffic flow, message retention and sales. And who doesn’t want that?